Apple has brought two new colors to the fore with the iPhone 7 and 7 Plus -- matte Black and the shiny Jet Black flavor. The matte finish, admittedly, is not too dissimilar to the Space Gray of old, though it's been a while since Cupertino has offered a handset with an all-white exterior. You have to go all the way back to the iPhone 4s for a truly white front-and-back finish. With Apple clearly happy to diversify the color options, the above mock-up gives us a little teaser of what we may see in generations to come. The Silver, Gold and Rose Gold iPhone 7 handsets are already halfway towards a white finish, and we'd certainly not be unhappy to see Apple broaden the selection with a fully-fledged white variant. Indeed, alongside a matte white option as seen above in a concept developed by a team of Russia-based artists, Apple could feasibly offer a pearly white flavor somewhat reminiscent of the old white MacBooks. At present, this is mere idle, weekend speculation aided by a neat little visual. But more choice would only serve to widen the appeal of Apple's iPhone line, so a device similar to what you see above is not beyond the realms of possibility. What do you think, would you like to see Apple come through with a matte and or shiny white flavor with the next-gen iPhone? Do share your thoughts in the comments below. 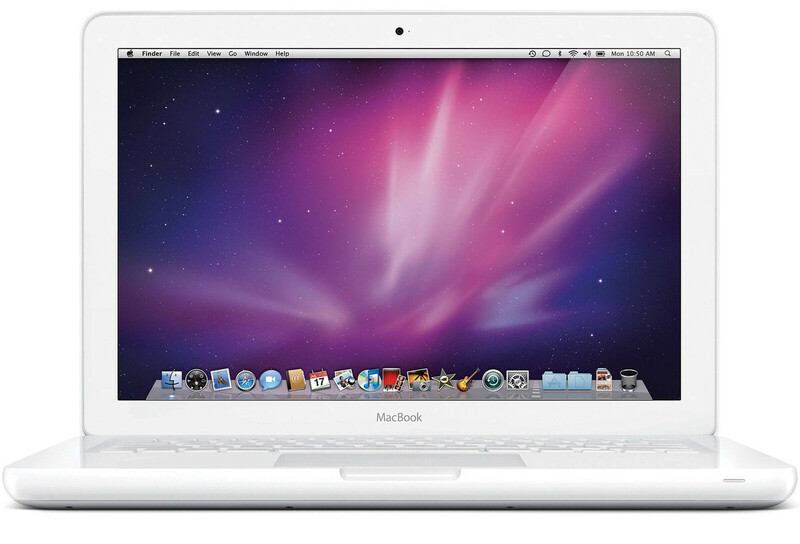 i miss my white macbook. If apple make pearl white, or ceramic white iphone 7s/7s plus, i'm ready to skip android for another year. Matte black and jet black colors existed in the Android world since years ago! Sony Xperia Z, Galaxy Note 3 Neo, etc. Who gives a damn Trojan? You sound like a punk when you have to resort to a my dad can beat up your dad competition about everything. You sound like you are 12. I actually retract my comment. I didn't notice Banks Android comment initially. My bad. Correct me if I'm wrong, but those devices weren't metal. Either plastic or glass. What has that got to do with anything? The original poster stated that Android would be copying black colors. Well in that case iPhone 3GS!!! Or iPhone 4!!! Never seen a Prada in my life. I've seen one on yourube. It had no multitouch, was extremely buggy compared to the first iPhone. Was extremely unintuitive user interface (I mean you had to scroll the bar to scroll down for crying out loud - iPhone you just scrolled the page itself like all the phones that followed). LG also never introduced an apps store for their device, no updates, didn't support third party apps like Apple did with google maps and YouTube before google even though of making their own mobile OS a screen touch one. As far as I'm concerned LG had a trial run. The real device for the modern times can a month later - called an iPhone. We are talking about colors bro, never would I dare to compare a dumbphone to a smartphone. The OP was hinting that Apple are the 1st to ever introduce matt and glossy black finishes on a cellphone, and we are just pointing out how wrong and ignorant his statement was. maherk, that AlikMalix guy deflects alot in his rebuttals. I had commented on an article, saying that the Pixel XL looks great and that I'm already excited. AlikMalix came off saying that the Pixel XL has the same bezels as the iPhone which I bash because big bezels... and said "You're full of it". Has he ever seen me bash the iPhone's bezels? Besides, the Pixel's bezels are still smaller than the iPhone's bezels! It's not deflecting. But calling you out in it. You have crtitisized the iPhone from Every end. And it's users. They are big bezels and I even said that I agree. But you said this looks great - when it looks exactly like the iPhone face but missing a button. I was just saying that this is hypocracy. I understand it's just a render and you want it to look perfect, but ummmm, white display? Okie dokie. Matte White looks hella nice! The iPhone 8 should have that color. If the display - when closed - would also be white, it would be a gorgeous device. Now THAT would be a battery killer. The display doesn't have to be black when unpowered, it can also be green, yellow or white. Dude, an unpowered white screen uses the same amount of power as an unpowered black screen: zero. I've NEVER seen a device with a white screen by default...where did you see such on earth? On Amazon; go do some research before you speak ;). I'm talking about WHITE SCREENS, I'm not talking about the technology behind them.